Un prénom, des initiales, une date ou un court message peuvent être ajoutés sur votre article, à l'intérieur ou à l'extérieur. 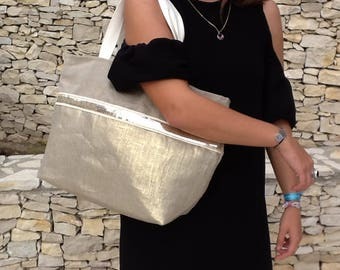 Sequined linen tote bag, large bohemian tote bag, tassel bag, natural linen shopping bag and grey and ecru ethnic fabric, decorated with silver sequins and its three wool tassels for the "girly" touch! A practical bag that you wear easily on the shoulder for a shopping trip, a sunny walk, a trip to the seaside! And because you take the little one's blanket, the snack of all your tribe and lots of essential things, it must be big enough, but also that it is robust(linen has this essential quality! ), and practice with large handles to wear on the shoulder! So I designed it in a beautiful natural linen fabric, which does not deform under the weight of its content, a linen straight from Normandy! It is entirely lined with an ecru cotton fabric, and a large inside zip pocket fabric coordinated to the front (20 cm zipped pocket). A silver magnet helps to close the opening of the shopping bag. It has two ecru cotton handles. This linen bag is the ideal accessory, robust and fashion! You will receive it carefully packed and ready to offer! Its size will enable you to take all your girl stuffs! Did you know? To make this bag, 34 separate seams are necessary! A particular attention was concerned on the quality of the fitted out materials for the finishes. Lesfilsdisa proposes a money-back guarantee! 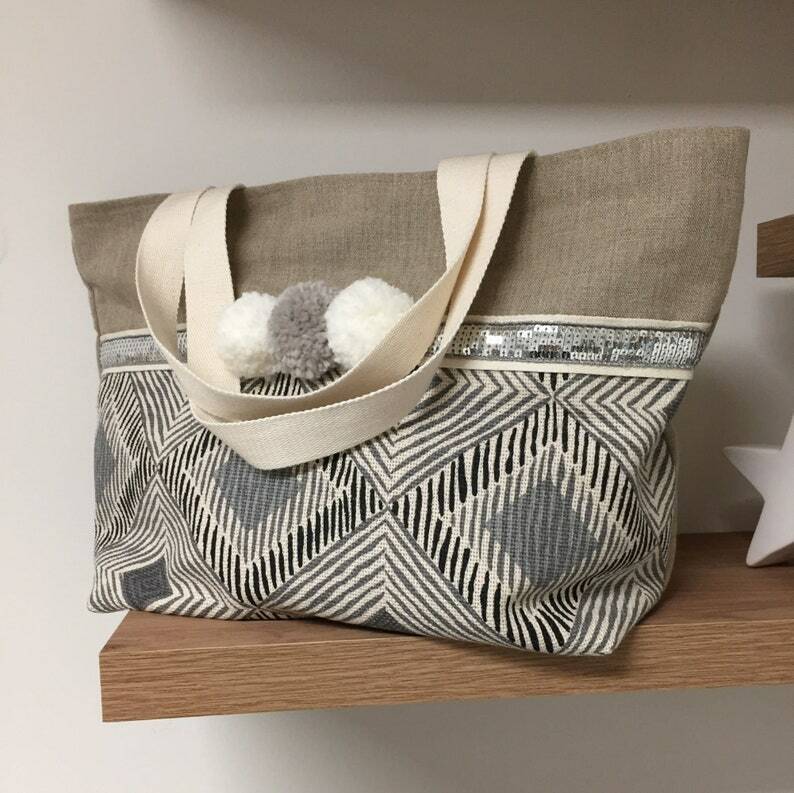 Do not hesitate to contact me if you want a customized handbag !